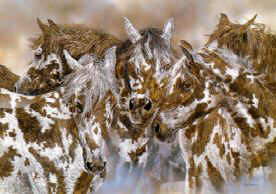 Judy Larson 's Limited Edition Print " Packherd "
pack of wolves that seem to gather with them. of horses, many traits are essential for survival. played a prominent role in Native American society.